We have a “carnivore corner”, a collection of carnivorous plants. 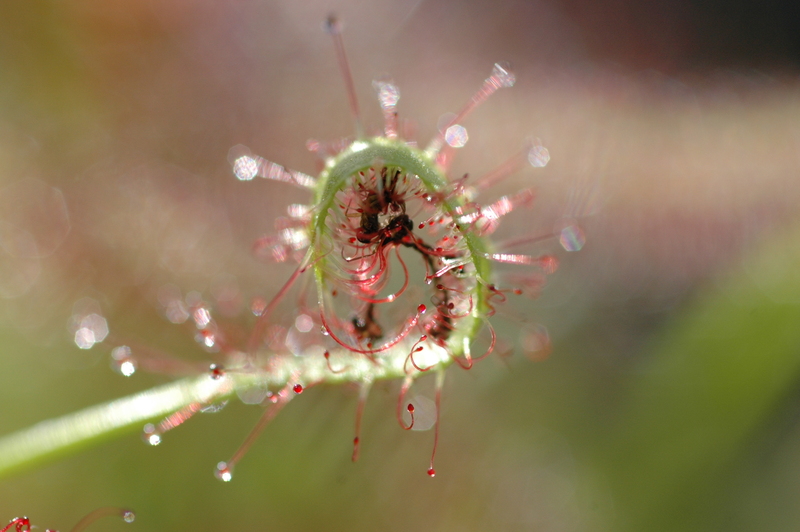 The sundew has just flowered. 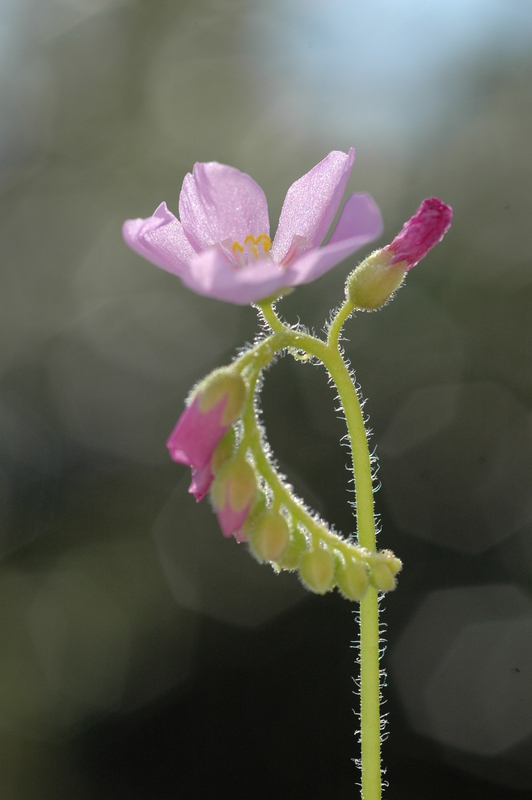 Like many carnivorous plants the flowers are held high above the rest of the plant on a long stem. The long stem may serve to keep the pollinators from being eaten, though where the pollinators are not the same species as prey, it may be to maximise exposure of the flowers to the pollinators. 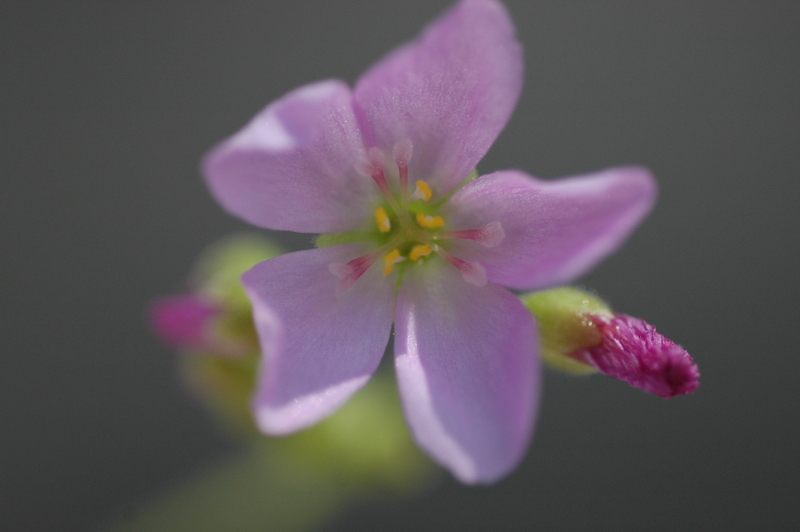 The flowers show five-part radial symmetry and are about 10-15mm across. 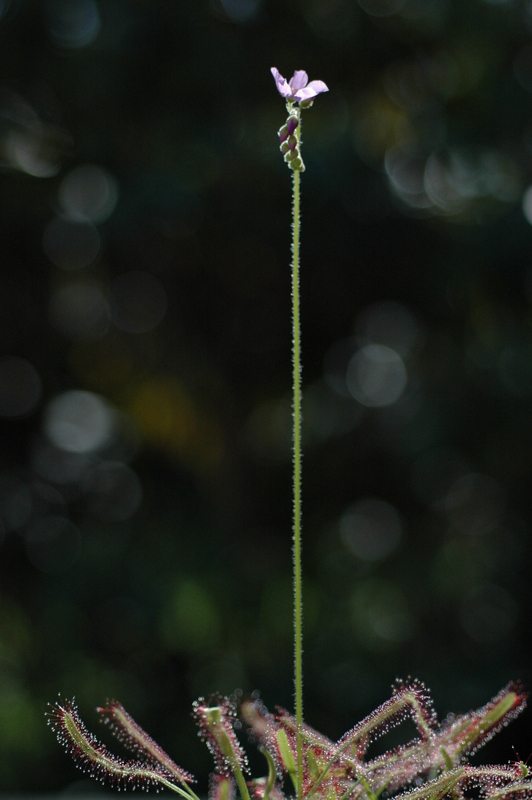 There are a series of flowers on the stem. Each flower, in turn, opens in the morning and closes at nightfall, never to open again. The next day, the following flower opens. 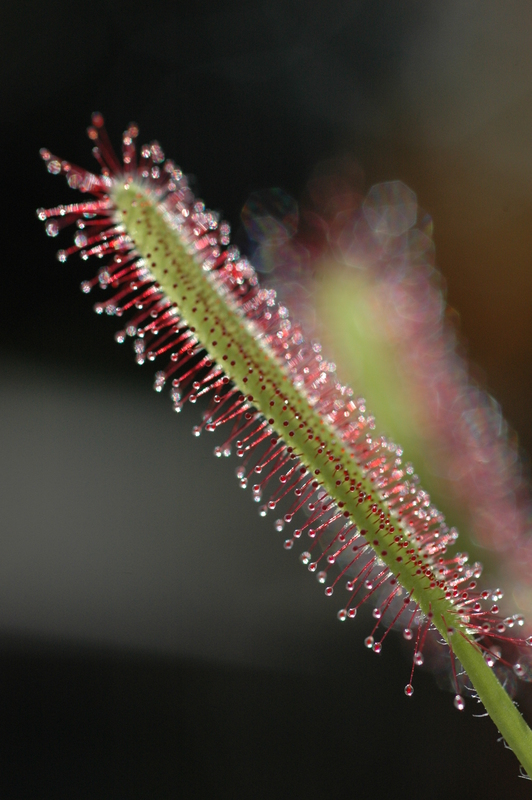 The sundew catches small insects when they blunder into the sticky mucilaginous goop that sits on the ends of the stalks that cover the leaves. Once the insect sticks, the leaf rolls up around the prey enmeshing it. The mucilage contains enzymes which digest the insect and the resulting ‘soup’ is absorbed by the leaves. The photo below shows a fruit fly trapped by the plant.